By day, Patent Coffee serves single-origin coffee, pastries and snacks; by night, imbibers pass through a hidden door to access Patent Pending, a discreet underground cocktail bar. 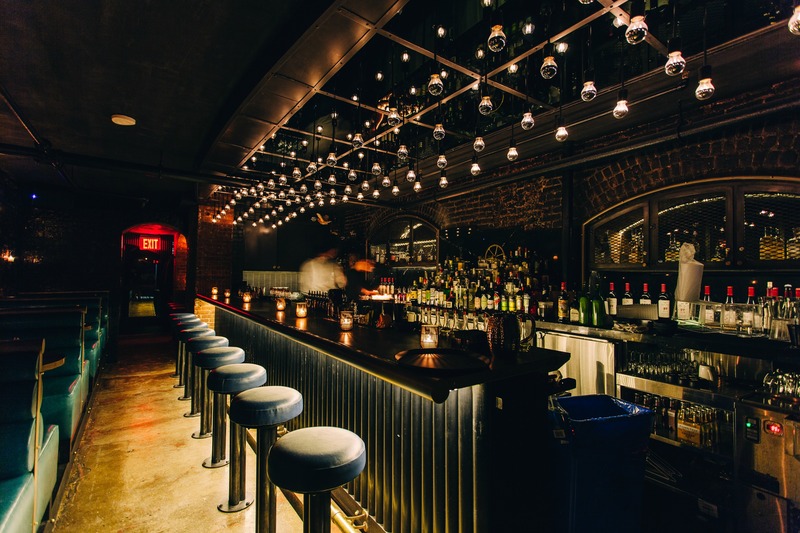 The dual concept recently opened in New York City's Chelsea neighborhood. When Simmer Group's Ryan McKenzie wanted to open his own concept he set his sights on the unique basement space of the landmarked Radio Wave Building, where Nikola Tesla once called home and lab. He loved the historic relevance of the building, and knew it should inform the entire concept –– the coffee shop and bar’s name refers to the hundreds of inventions patented by Tesla, the drink names are all Tesla-inspired (e.g. Strange Magic, Radio Wave) –– there’s even a taxidermy pigeon hanging above the bar, a nod to Tesla’s odd love for the bird. The strange architecture of the space also lent itself to his dual concept –– the front room betrayed no sign of a hidden basement cave, which was uniquely suited for a speakeasy. In this MRM News story, Khoi Le, the manager of Patent Pending, discusses the dual concept and how it's been received by guests.